This is a one of a kind Hawaiian experience that few have a chance to enjoy. Over 6,000 acres of private land surround the 60 acre LOST Ranch. 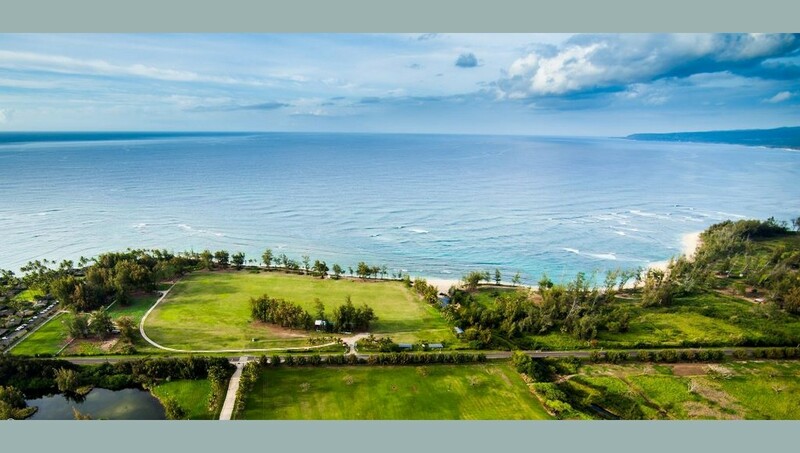 The one of a kind ocean views from this property go over 10 miles from Kaena Point to Sunset Beach. The house is located approx 1000 yards directly above one of Hawaii's best kept secret beaches, where many scenes and portions of the hit show "LOST" were filmed. 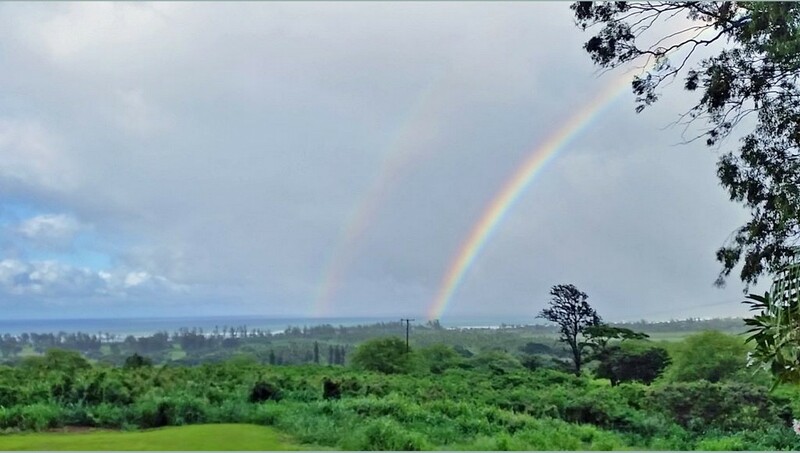 If you are looking to spend your Hawaiian vacation in a small quiet town located in a secluded area, only 10 minutes from Haleiwa and 45 minutes from Honolulu, then this is the place for you. It has a variety of excellent restaurants nearby and is great for all water sports including snorkeling, scuba diving, surfing, windsurfing, and kayaking. Other favorite activities include walking on the beach, fishing, skydiving, horseback riding, tennis, golf, biking, or hiking around the Western “Kaiena Point” end of the North Shore. 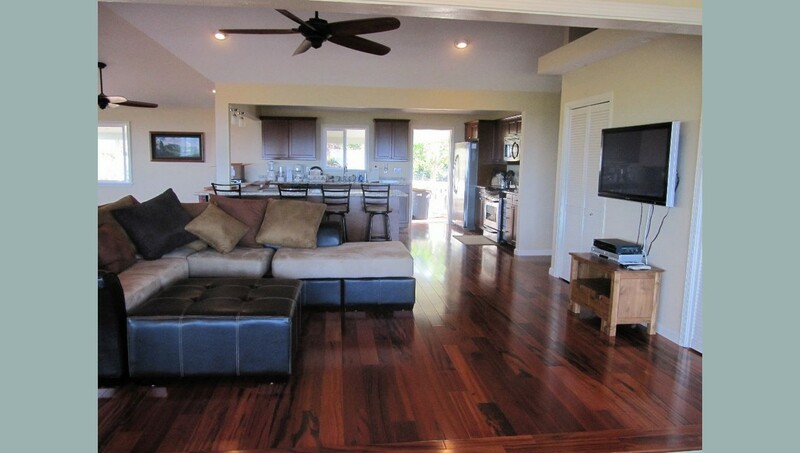 The house was fully remodeled and restored with over 3,000 sq. ft. of interior space, 2 large ocean view decks, real "Tiger Wood" wood floors, original old restored Oak wood floors, granite counters, stainless appliances, 4 new bedrooms and 3 clean large bathrooms. The roof is vaulted to give you a feeling of space and relaxation. 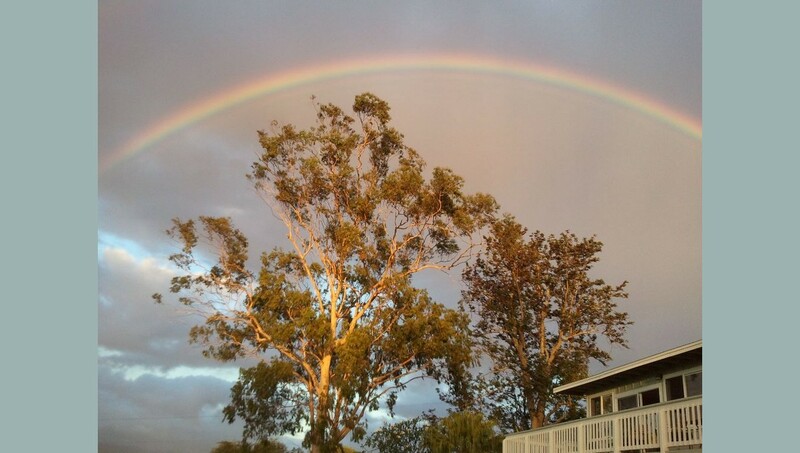 Come stay where the people of Oahu stay to get away from the crowds. 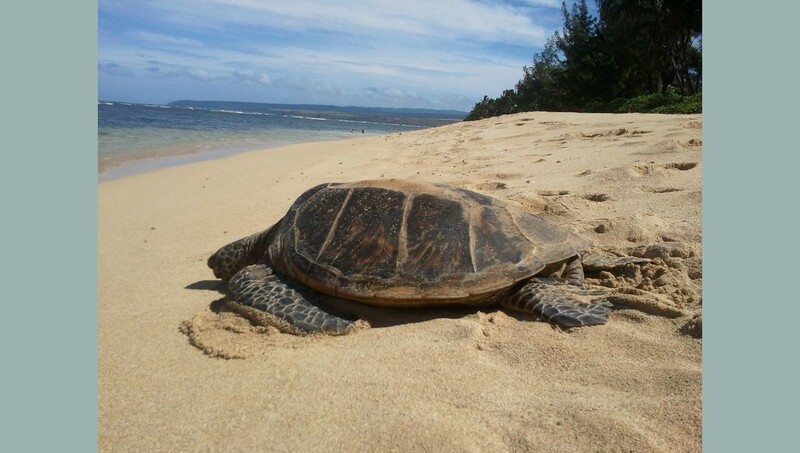 Mokuleia is on Oahu's North Shore, but is a secret to most visitors. King Kamehameha Suite - Large master with Ocean and pool Views, a separate sitting room with rattan couch and chairs, Teak Cal King with memory foam pillow top bed, spa tub, & shower, walk in closet and large private deck. Queen Liliokulani Suite - This guest master has great ocean views, Cherry wood queen bed with memory foam, private bathroom, and walk in closet. 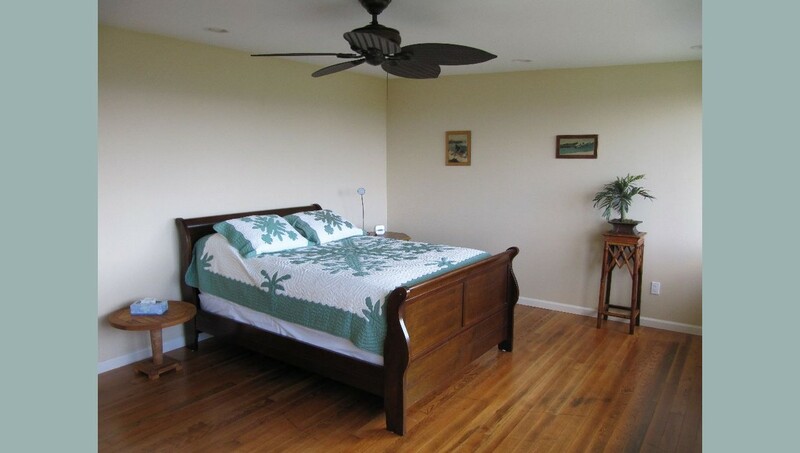 Queen Emma room - The garden view room has a Cherry wood queen bed with memory foam and a private deck. Princes Kaiulani room - The 4th room or kid’s room has two twin beds with memory foam and rattan head boards. We also have a full size bed or "Punei" in the living room and two queen size blow up beds complete with pillows and sheets for those extra guests. 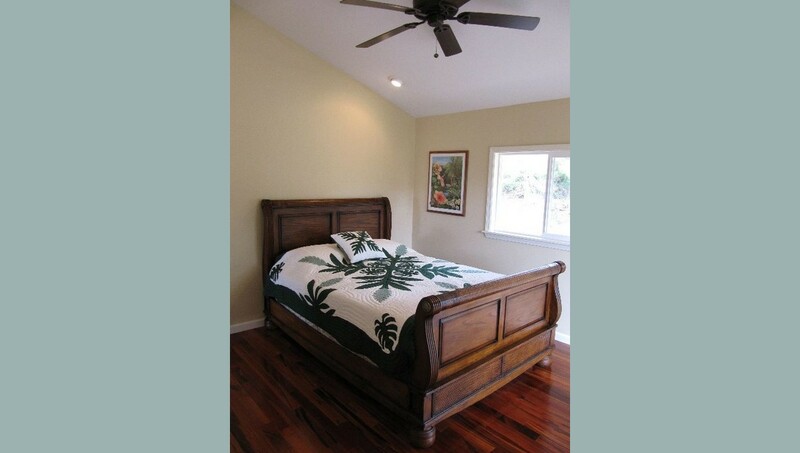 All room beds have Hawaiian print comforters, 400-600 thread count cotton linens, and soft pillows. 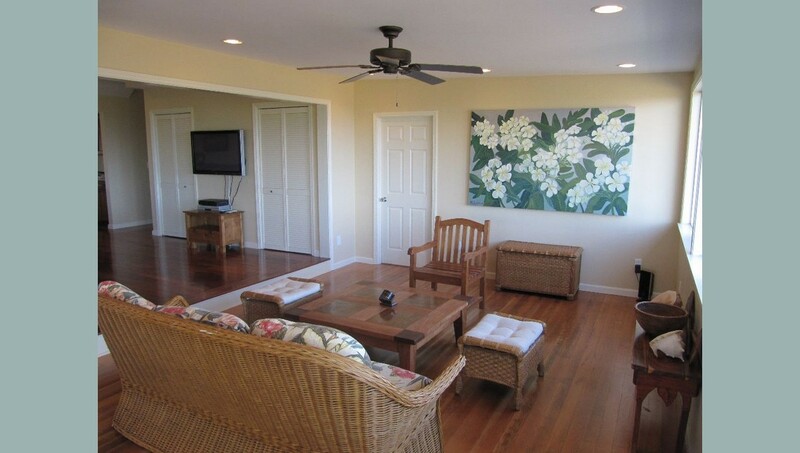 The house is decorated with Hawaiian prints and classic portraits, Teak and Koa furniture, 8 person and 4 person dinning room tables and sliding windows across the whole oceanfront. There are no hotels, apartment buildings, tourist traps or the like in the area. We have empty white sand beaches for miles. This is the Hawaii you dreamed of and thought you could only find on the outer islands. We have wireless 4G internet access out to the pool or 400 feet, for your computer use. Direct TV on one 50" flat screen in the living room and a Sony 27" TV in the master bedroom. There is great surfing and Kite/Wind surfing right below the property and at over 30 different spots within 10 minute driving in any direction. Sunset Beach, Pipeline, Rocky Point, Haleiwa, Silva Channels, Mokuleia Beach Park, and more. We also have Deep sea fishing and shark encounters at Haleiwa harbor only 10 minutes away. 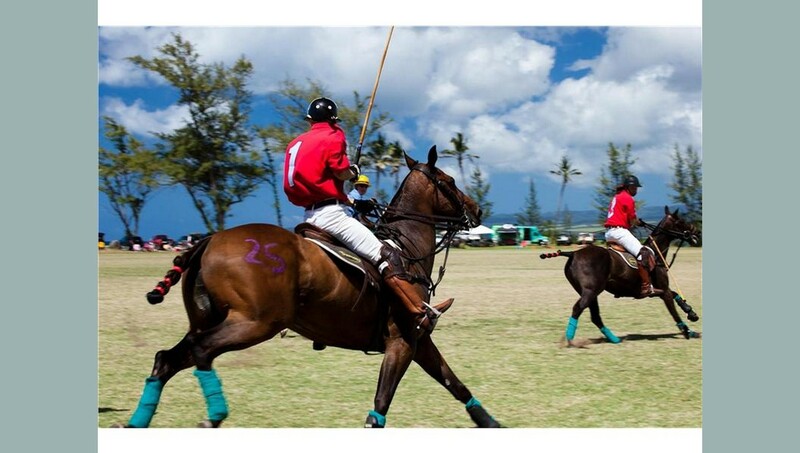 We also have seasonal Polo games at Mokuleia Polo field located right on the beach. The house has a 33' x 18' private ocean view pool with a 15,000 sq.ft. grass yard. We also have a paddle/tennis court in the back of the house for your private use. Rackets, balls, pool water, and fun included. Located directly above one of the most pristine empty beaches in all of Hawaii with great snorkeling, fishing, and shell finding. 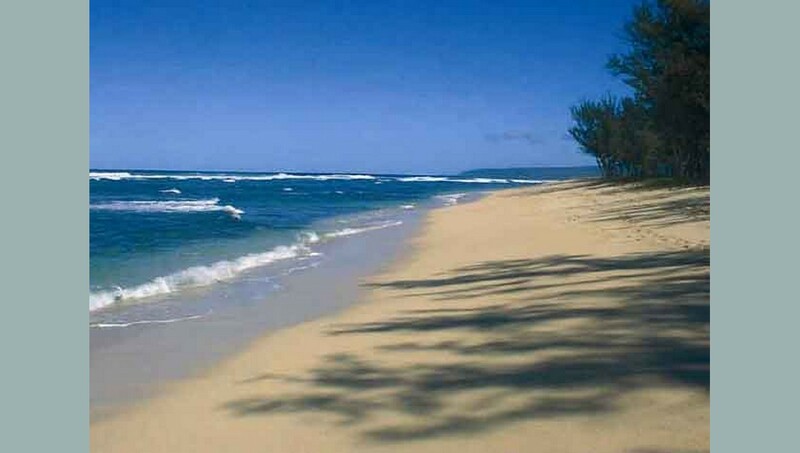 You can walk for 2 miles on almost deserted beaches. Take private horse back riding lessons right below the house or go down to the beach for a oceanfront gallop. 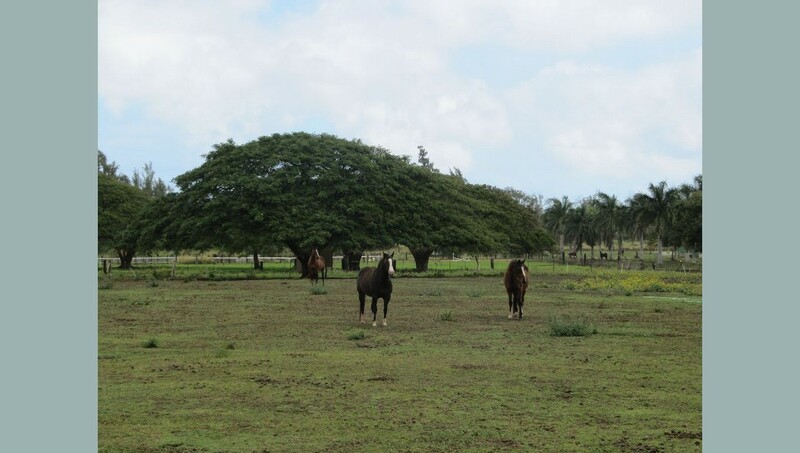 We can also set up private Horse Polo lessons available at Mokuleia Polo fields. 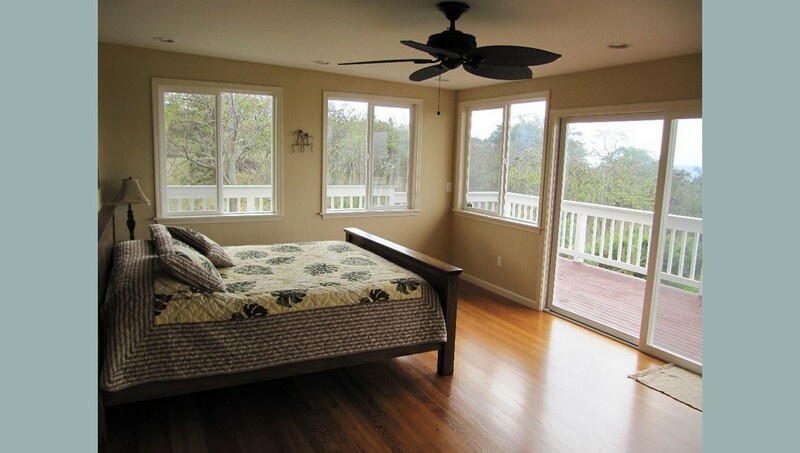 The property is located a few miles from Haleiwa town for great shopping, Waiamea Bay for a wonderful day trip, Sunset Beach for surf watching, and Dillingham Air Field for Glider flying, sky diving, and Ariel tours. This is a rare opportunity to enjoy one of Hawaii's original Ranch homes originally built in 1937. Only a very few lucky people have experienced this property. Movie stars, dignitaries, CEO’s, and the sort have stayed on this private ranch. The site of many movie backdrops and location filming. Perfect for family vacations, corporate retreats, or romantic getaways. Parking for over 150 cars and room for tents, valets, and large gatherings. Additional homes and rooms available near by for your friends. Totally remodeled in December 2009 and constantly kept up to date. Our home is spacious, with all new real wood floors, brand new windows, nice quality furnishings, nice appliances and a huge expansive yard and feel. If your looking for a one of a kind family getaway, this is the place. Enjoy your vacation with total piece and quiet. Just relax, enjoy the pool, paddle tennis court and the views. Linens Provided: 400 & 600 thread count cotton sheet sets. Covered Parking: One covered car port at kitchen door. 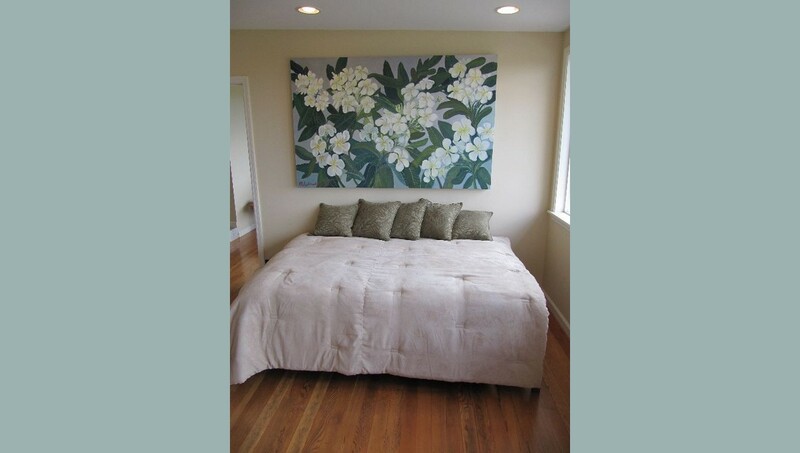 King Bed: One Cal King with Mango wood frame and 600 thread count cotton sheets. Queen Bed (3) : Two Queens with cherry wood sleigh frames and 600 thread count cotton sheets. One queen air mattress with same sheets. Twin/Single Bed (2) : Two Twins with rattan head boards and 400 thread count sheets. Convertible Bed: One full size couch in living room can sleep onperson. Cable/Satellite TV: Direct TV with over 150 channels. Jetted Tub in Bath: Jet tub in master. Private Pool: Large 33 x 17 foot ocean view pool. Full Kitchen: Fully stocked with all appliances and utensils. Refrigerator: Stainless with ice and filtered water. Microwave: Built in with vent above stove. 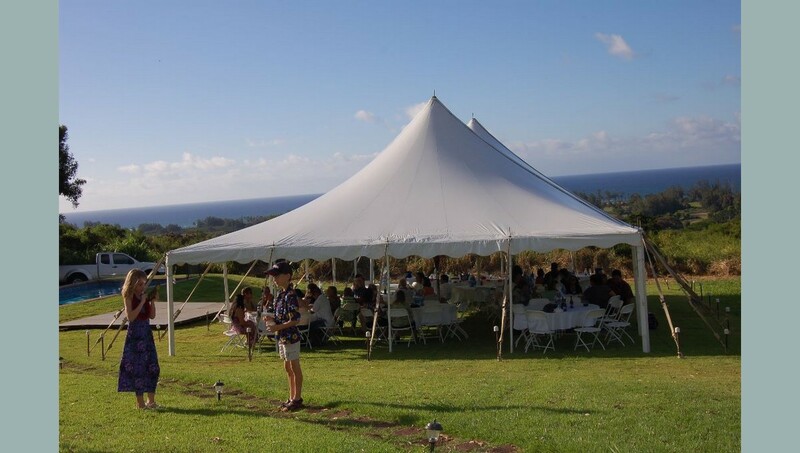 Catering Available: Luaus, Hula Dancing, Roasted pig on the spit and more are available. Gas/Electric BBQ Grill: One gas barbecue purchased in 2010. Deck/Patio: Two large ocean view decks. Plus deck off Paddle tennis court and pool. 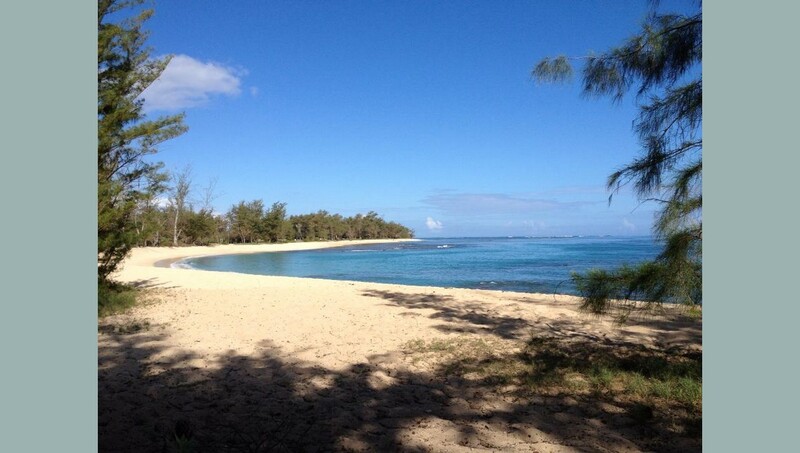 Beach View: Were located directly above one of Hawaii's most empty and beautiful beaches. 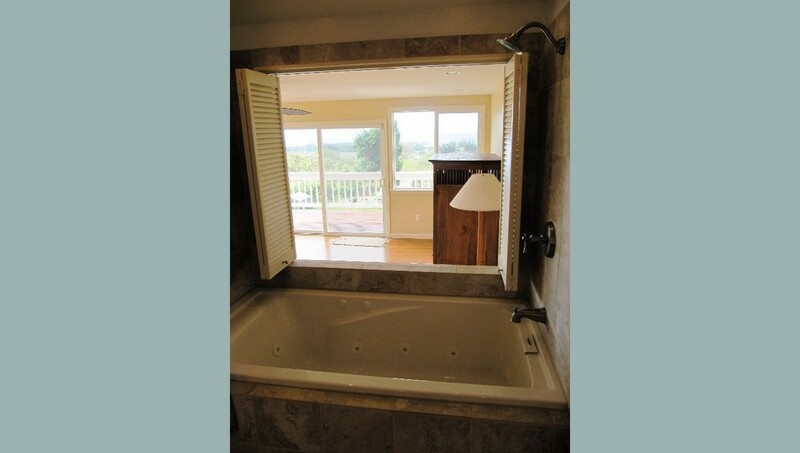 We have unobstructed Ocean and Beach views. Ocean View: Over 10 miles of unobstructed ocean and mountain views. Mountain View: Surrounded by mountain and ocean views. Broadband Internet: We have 4G/5G Sprint card for high speed access. WiFi (Wireless Internet): We have 4G/5G Sprint card for high speed access. Luxury linens, quality furniture and beds, wide screen flat screen TV's, wi-fi internet, paddle tennis court on site. Horse back riding on beach, trail rides, riding courses glider flying, sky diving, helicopter tours, Polo games and more are available for a fee. Pet Friendly: Must describe pet and be allowed via rental agreement. 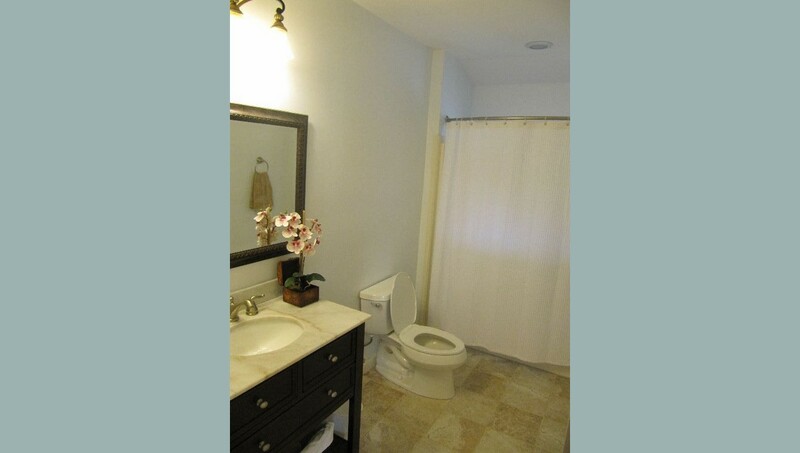 Handicapped Accessible (may have limitations): We have access with two steps up to house. Most of house is level. Wheelchair Accessible (may have limitations): We have access with two steps up to house. Most of house is level. 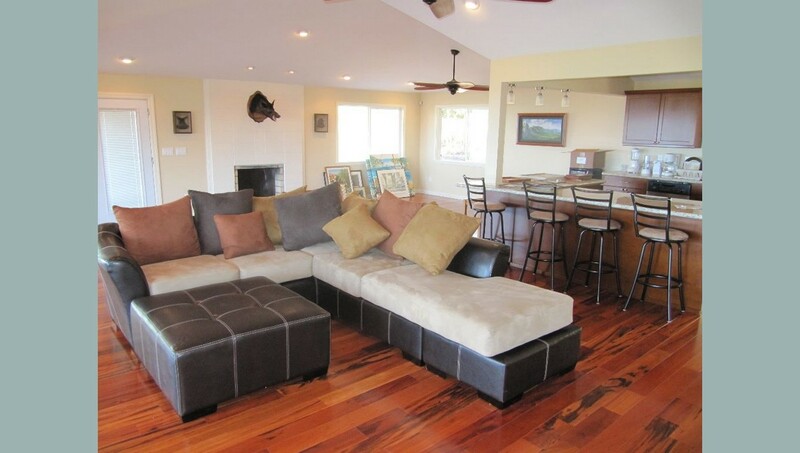 Kid Friendly: We have kids and the house was desinged for family fun and adventures. Smoking Allowed: Only in the yard or on decks. No smoking in house PERIOD! Smoking Not Allowed: Only in the yard or on decks. No smoking in house PERIOD! 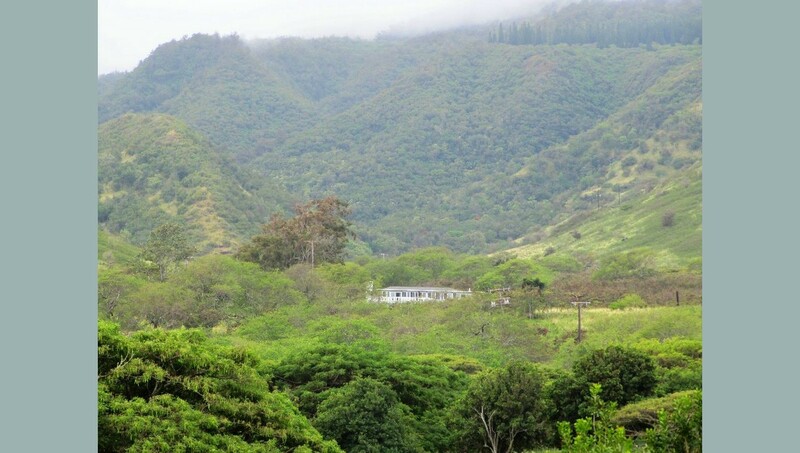 We have miles of hiking trails and roads to some of the best views in Hawaii. Miles of empty beaches directly below the Ranch house. 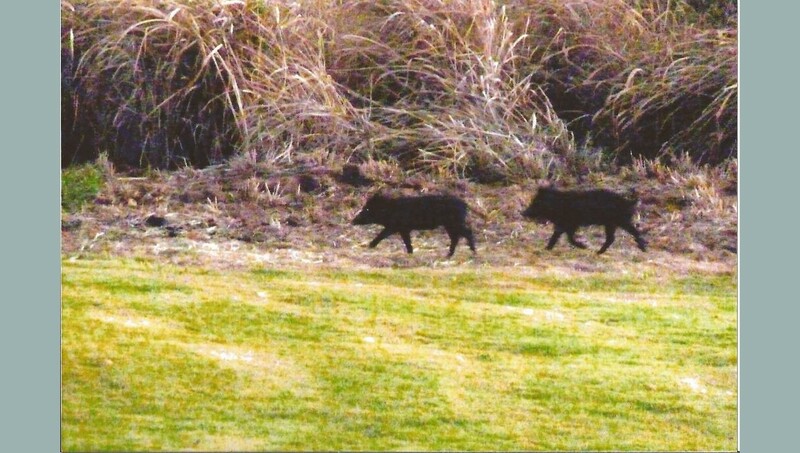 There are also wild peacocks, pheasant, chucker, and wild pigs for your viewing pleasure. The house was spectacular. We had 6 people staying in the house and there was plenty of room for everyone to relax. The views from the living room was fantastic. Waking up to the beautiful sunrise over the ranch land was fabulous. The night sky here will blow you away! We lived in Hawaii for a few years and had a general idea of the travel time from this house to everything we wanted to do so we weren't surprised with travel times. I would say anyone staying at this house would need a durable vehicle as I couldn't imagine driving a car up this driveway. The pool was excellent for the kids when the adults wanted to relax and make dinner instead of going to the beach. 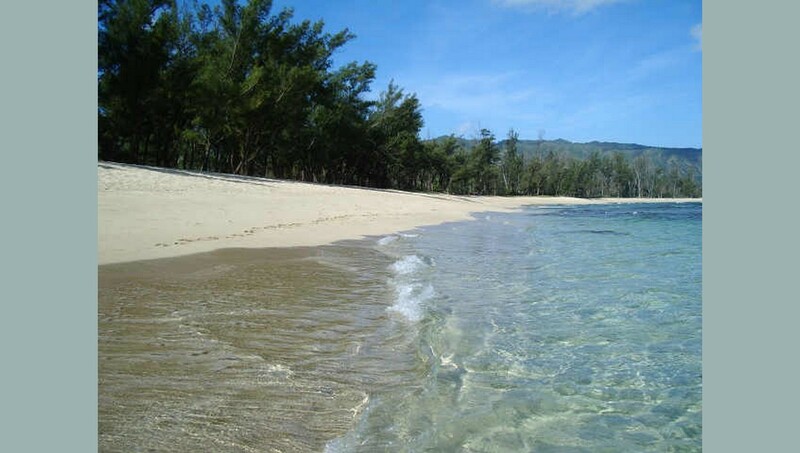 We had young kids with us so the beach across the road from the house was not ideal for them to swim in but drive through Haleiwa and you've got a few perfect spots for young kids to snorkel and play in calmer waters. There is no A/C in this house and the fans available were not sufficient for our preferences. We ended up going to the store the night we arrived to buy some window fans so we could sleep cool and enjoy time in the house during the day. We did visit during a heat wave of sorts by Oahu standards. We're from Texas so we are used to the heat but still need some A/C or fans to help us cope. Wildlife was abundant at the house. We saw frogs, peacock, mongoose, pigs, cows, horses, birds, geckos etc. The best part of this house is the remote location. Waikiki is so packed full of tourist you can hardly get anywhere and the beaches are always full of people. While staying at this house you will have no noise aside from the wildlife and you won't run into many people. "Lost Ranch" was everything we hoped it would be and more. 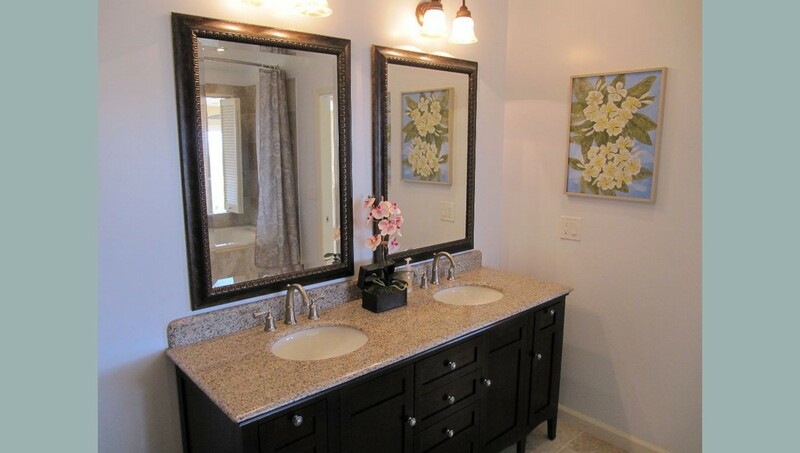 The house is open, updated, and spacious with quality finishes. Incredible views of the ocean and countryside with pristine swimming pool. There is no AC but all the windows are screened and it definitely stayed very comfortable all day with ceiling fans going. At night it was very cool and comfortable with closed windows and under blanket. The ranch is awesome with groves of palm trees and horses, cows, and peacocks roaming around. Haleiwa is an awesome little surfer town with tons of great food options. And the north shore beaches are super cool. We went into Waikiki a couple of nights too and that was fun nightlife and shopping but was plenty for our purposes. Staying here was really an awesome set up for my extended family. PS the shave ice at Waiola in Honoloulu blows away Matsumoto - and I'm a Matsumoto fan. ;) I didn't need to communicate with Cathy much about anything, but when I did she was quick and helpful. Highly recommend! We had a wonderful time in your home. The views were amazing and the living space was comfortable and welcoming. Thank you for accommodating us and working with our particular situation. We have very special memories of our vacation in your house and hope to be able to return soon. The home was exactly as advertised and once we were there it was even better. Very quiet with magnificent views and lots of bird songs in the morning. Our grandchildren seemed to like the pool and remoteness even better than the beaches. Our host responded promptly to one minor glitch with a door and even drove immediately to the house to solve the issue, which required a repairman. However that glitch didn't impact our experience and we were a family of eight. The house was very clean and well taken care of. Our family wants to return next year. The setting is very private and we think is what a Hawaii experience should be, not in the middle of crowds in a typical resort setting. 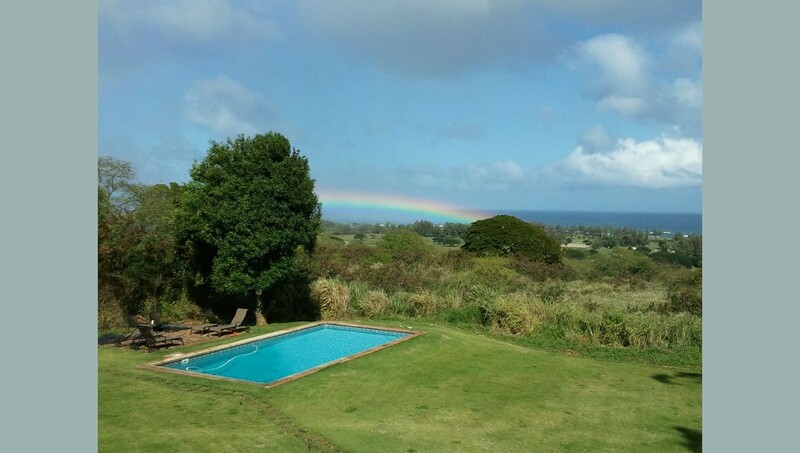 Where else could you experience ranch surroundings with a pool and tennis court in Hawaii with a view and by some of the best beaches and surfing in Oahu? The views are exactly the way they are described in the listing. We rented the lost ranch to celebrate my in law's 40th wedding anniversary. My FIL & MIL were extremely pleased with lost ranch location. We had no problem fitting in 10 of us. The house is huge. It was hard for us to find the lost ranch because we arrived late night but I called Mr. Gray and he was able to walk us thru the directions over the phone. Anytime we had any questions/issues he was quick to address them. The pool, Tennis court, the back/side yard are very well maintained. We even helped ourselves to some star fruit growing in the back yard. Somethings around the house could use a little TLC. Like the shower head had lime scale build up. Well we are on mineral rich land so that's expected from the well water. I personally wish the mattresses were a little harder because we are sleep on a hard mattress. But we still slept like a babies. In the kitchen I wish there were some stainless steel utensils to cook in instead of non-stick. We did buy a big stainless steel pot and added it to their collection. No major complaints at all. We had a great time at a great ranch. Overall I would give it a 8/10. Would definitely love to stay at the Lost Ranch in the future. And would highly recommend it to friends and family. Shout out to Derek who was so kind to us, gave us fresh coconuts with straws in it. Thank you Mr. Gray and Mrs. Aloha. Our family of 10 (siblings, kids, grandpa) chose to stay here for what seems like a trivial reason now: It had its own pool, which hardly any other houses for rent on the North Shore offer, and we wanted one for our littlest kids. The pool was indeed fun to hang out at and offered a nice respite from the beach (waves were unusually rough for summer), but the house has way more special qualities than that. The lush green setting is beautiful, with the ocean below and mountains above for constant scenery gazing. The papaya and starfish fruit trees were used for almost every meal. 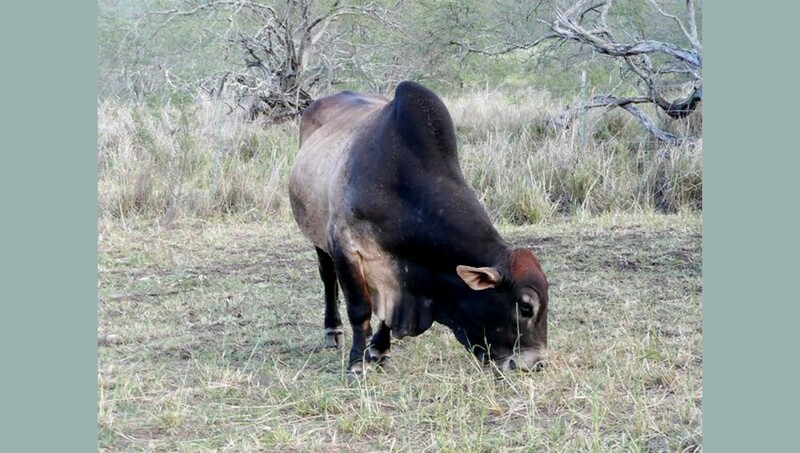 Our kids loved seeing the horses and cows on the ranch below and the wild pigs that frequently crossed the yard. I took a hike to the Kaena Point just up the road and loved that. Two in our party went skydiving at nearby Dillingham Airfield and raved about the experience, and each noticed how the house stood out in the landscape. We went back and forth to Haleiwa for assorted meals, supplies and shaved ice and never felt like it was a hassle (5-10 minutes). Our favorite beach for swimming was Waimea Bay (15-20 mins away), and we also loved hiking to the waterfall and strolling the gardens at Waimea Valley. Some of us were concerned about the lack of air-conditioning, and indeed the house was like an oven upon arrival. But once we opened up all the windows it was comfortable even in August. Why wouldn't you want the windows all open in such a beautiful natural setting? The beds were all comfortable, and we had everything we needed while there. We hope to return and use the house again in the not too distant future, not just for the things we didn't get around to doing during our stay but also to simply enjoy the house itself again. Just got back from a wonderful stay at the "LOST" Ranch! It was clean and safe with amazing views of the ocean and the hills. Our group had 8 people (three couples + two singles) and the rooms/bathrooms were perfect. There was even a full bed in the living room for extra people but we didn't need it. The pool was nice and the yard and tennis court (racquets/balls in the house) were very clear and groomed. The property is not directly on the beach but we walked down about ~15-20 minutes to the water. You can very easily drive/park at the beach (~5 mins) Being away from the water was well worth the seclusion and tropics of the hills. Cathy and the property manger were incredibly helpful when we got lost trying to find the house and everything else was seamless! Property is safe and owners take every precaution to keep it that way. Make sure you stock up at Costco before you get there, since there are not a lot of stores around. We used the grill and kitchen to cook all of our meals. I would aboustley stay at the "LOST" Ranch again and would highly recommend it to anyone interested. We were six adults and a couple of teenagers. The other reviews say it all. We use VBRO often when we travel and we’ve learned to take the web site descriptions with a grain of salt as they are often embellished and not quite as advertised. On the other hand, the description of the Mokuleia Ranch does not do justice to beauty of this place. I don’t know of many other places where you can sit on the lanai and watch both the sunrise and sunset with nothing but the ocean breezes and local wildlife to provide the background music. We hiked to Kaena point and peacock flats, snorkeled on the nearly private beach below the house, had cocktails by the pool every evening, BBQ’d, played golf, watched an exciting polo match and cruised Haleiwa Town – all of it no more than a few minutes away. And, if you want to just sit in the sun and read, you won’t find a more peaceful place on the island. Cathy and Ralph were very helpful and generous hosts. We highly recommend Lost Ranch. Everything about the LOST Ranch was great. The logistics and arrangements were fast, efficient and our stay provided everything promised. The views from the beautiful home are incredible, especially the sunrises. 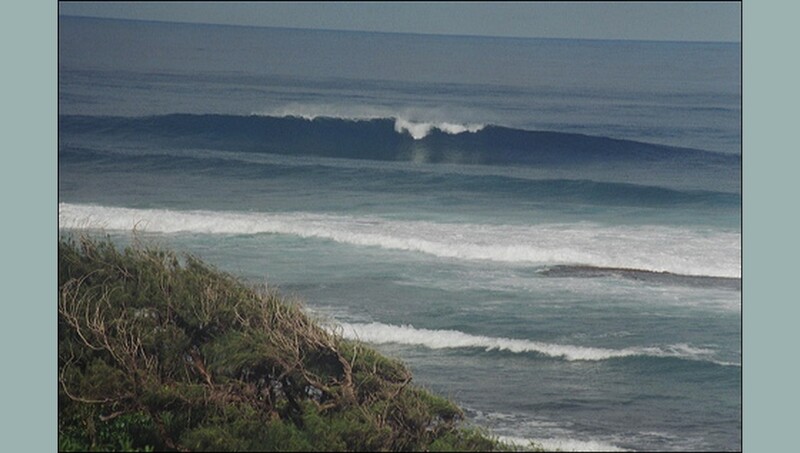 The house provides quick access to all the North Shore features and it was an easy ride down to Honolulu. We even got to enjoy the Turtle Bay fireworks from the back deck of the home. The home is beautiful, spacious and situated on a beautiful property and the bed in the master suite is as comfortable as I have ever slept in. I'd come back to the LOST Ranch without a second thought and hope I get to do that someday soon. Our family of 6 met up with another family of 5 for an incredible week on Oahu. We had 7 kids between us ranging from age 5 thru 13. The pool, yard, and tennis court were perfect for the kids to roam about and play freely, while the parents observed from the deck with cool drinks. The location is so peaceful and relaxing compared to the crowds and hustle of Honolulu. Haleiwa was only 10 minutes drive away with plenty of restaurants and surf shops (and excellent shave ice!) We explored several beaches along the North Shore (calm in the summer) but our kids' favorite was the one directly across the street from the ranch entrance. The home is spacious and very clean with plenty of kitchen dishes and pans as well as plenty of towels and sheets. I would unreservedly recommend staying at the Lost Ranch. 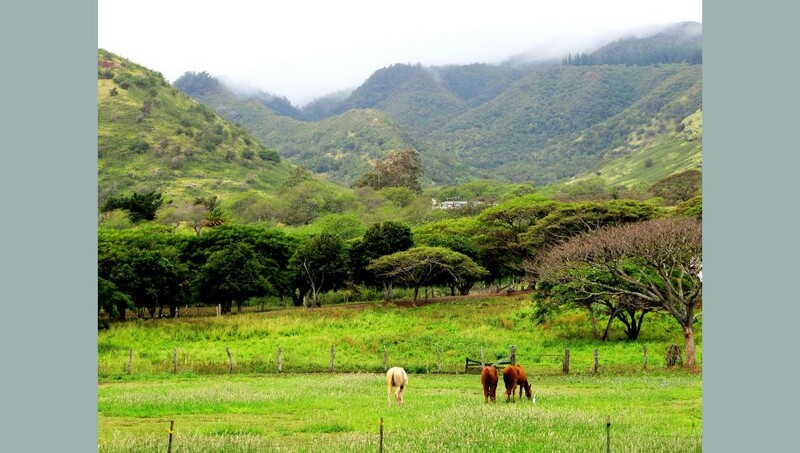 We have rented numerous homes in Hawaii over the last 5 years, the Ranch is one of the best. The home is very well appointed, the furnishings are very nice, the pool is wonderful and the views are absolutely stupendous. The younger set enjoyed the tennis court and us elders enjoyed the lanai and poolside lounges for our "refreshments." We all went our separate ways through the day and we could not wait to get back to the ranch every evening. The home is very quiet and secluded, we felt like we were the only ones for miles. The beach is very nice and almost private, we enjoyed it a lot. The skydivers and gliders above the house every day were a special sight, whales and turtles in the sea were a bonus, as were the Polynesian pigs that we saw 3 or 4 times. The pictures on the website are good, but the real thing is so much better. We highly recommend this lovely home and wonderful location. My wife and I rented the house for our wedding week, and we couldn't have been happier. The views of the ocean and surrounding landscape are truly breathtaking. The house itself is comfortable and well-equipped. We had seven total family members stay in the house comfortably. We also held our actual wedding at the house, which was a huge success. We would happily stay at the house again. Spacious, beautiful views, quiet and lovely. Our family of seven stayed here for 10 days and we're really quite sad to leave. If you are hesitant to rent a house that isn't beachfront I'm here to quell your fears. We would stay here again in a heartbeat. It's so spacious that it was perfectly comfortable for our large group all day, everyday. We were also quite smugly and safely playing board games and drinking wine when the North Shore was evacuating for a tsunami warning. 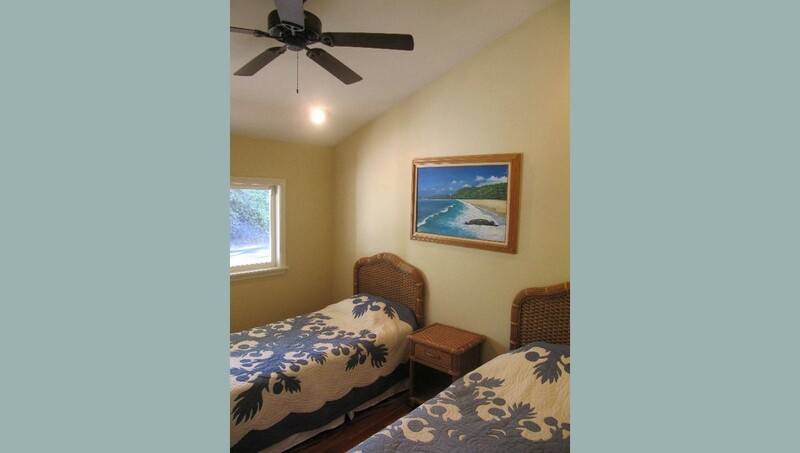 The beaches are a short drive through the property, approximately a mile, and Haleiwa is about a 10 minute drive. There is a farmers market nearby. Lemon trees and rosemary and basil herbs on the property as well as a macadamia nut tree! Very handy. We enjoyed drinking coffee on the deck in the mornings with the lovely ocean and valley views and listening to the birds singing. So beautiful! Really loved the house! It was secluded and had amazing views and perfect for our family of 8. The bedrooms and whole house was very spacious, much better than the pictures showed. Manager response: Thanks Johanna. I am glad you had a nice time :) we offer 10% discounts to returning visitors. Hope to see you again some day.